Under broad direction, supervises assigned staff for Coiled Tubing Product Service Line (PSL) within a Natural Work Area (NWA) (District). Supervises employees engaged in delivery of the PSL's services and products. Supervises multi-shift CT projects and technically demanding well intervention projects.. Leads employee behavior and role based competency by mentoring and developing to achieve excellence in PSL Service Quality and HSE performance. Assists the Field Service Quality Coordinator (FSQC) and Performance Development Coordinator (PDC) in Progressive Discipline for non-performing personnel. Completes performance evaluations of assigned staff under the direction of the FSQC/PDC. Champions Halliburton and Customer Health, Safety and Environmental (HSE). Engages employees in PII and all other PSL initiatives in the field. Assists in implementation of new technology. Evaluates service quality within assigned NWA with the goal of improving performance. Provides technical expertise and solutions to the customer. Performs follow-up activities regarding job performance. Skills are acquired by completing the Career Development System (competency) requirements for this job role. Must possess exceptional skills within the service line and a general understanding of other service functions. Given the nature of oil field service work, the ability to communicate effectively with others is necessary. Promotes safety awareness and environmental consciousness. Ensures compliance with Health, Safety, and Environmental (HSE) standards, practices and guidelines. Must be possess execptional knowledgable of Halliburton Management System (HMS) standards, work methods and processes. Under general supervision, responsible for the core third party Transportation Management System (TMS) software configuration and maintenance, and the efficient use of the TMS and Supply Chain Event Management (SCEM) system for planning and coordinating orders for shipment of cargo from point of origin to point of destination to ensure product meets the required delivery in the most cost efficient method. Job tasks, correctly performed, impact indirectly on cost containment, efficiency, profitability or operations. Skills are typically acquired through completion of an undergraduate degree in Supply Chain, Logistics or Information Systems and 1 years of experience in Associate Logistics Planner or similar TMS/SCEM Logistics Planner role which includes experience in hands-on TMS/SCEM functionality. Under general supervision, role is responsible for the planning, budgeting and directing all activities and related functions of the warehouse operation. Responsibilities will include assisting the warehouse operations leadership on the layout planning, establishment of document files, preparation of required documents and reports, and provide direction to warehouse employees. Responsible for training and supervision of teams. Oversee performance of inventory management functions. Must be able to interface with customers and vendors. Two year degree plus 8 years of experience required. Experience working in an operations environment is preferred, knowledge and use of hand held scanners. This individual must be experienced in the operations of material handling equipment. Intermediate use of computer and applications required. Under general supervision, promotes excellent customer relations at the worksite. Plans and performs necessary calculations for the job at the well site as needed. May coordinate the activities of service operators during equipment rig up and rig down on a location and the preparation of equipment for performing a job. Ensures customer satisfaction with work performed. Responsible for the management of the materials inventory when acting as Halliburton's sole service provider at the well site. As needed, may perform data collection and data distribution on jobs. Utilizes competency processes to enhance own skills development and job performance. Has a responsibility to ensure field paperwork is correctly completed. Job tasks, correctly performed, impact indirectly on cost containment, efficiency and profitability of operations. Skills are typically acquired through completion of HAL Career Development (Competency) requirements for job role. Possession of an Offshore Medical certificate as required. Completion of high school diploma or equivalent. Minimum of 2 years of experience within Coiled Tubing (CT) Services which includes specific experience in CT tools and on job applications is required. Must possess excellent skills within the service line and have a general understanding of other service functions. Must be knowledgeable of HMS, HSE standards, work methods and guidelines for CT personnel. Promotes safety awareness and environmental consciousness. Promotes and takes an active part in quality improvement processes. Possession of an Offshore Survival & Emergency Training certificate as required. 2. If the link can't be opened then the vacancy has been closed. FRAUD WARNING!!! Halliburton Indonesia will never ask applicant to pay a processing fee, ask for money or appoint any travel agent for the recruitment process. 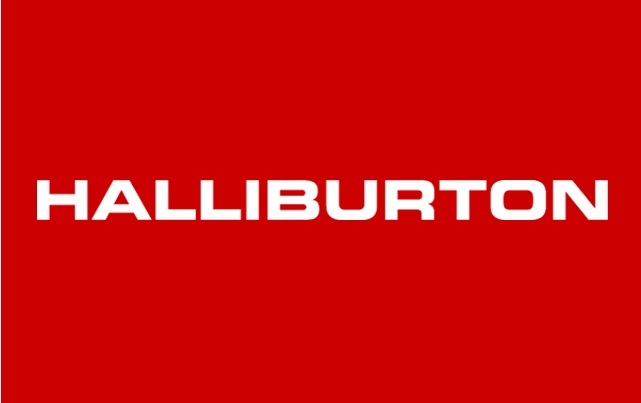 Thanks for reading Halliburton Jobs: 4 Positions. Please share...!